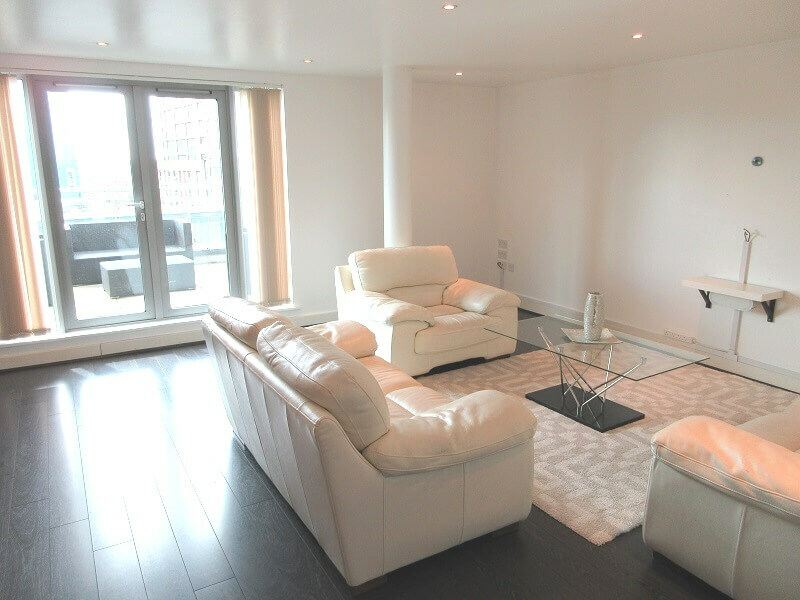 York Laurent are proud to present a stunning two bedroom, two bathroom penthouse apartment in the sought after Orion development in the heart of Birmingham City Centre. 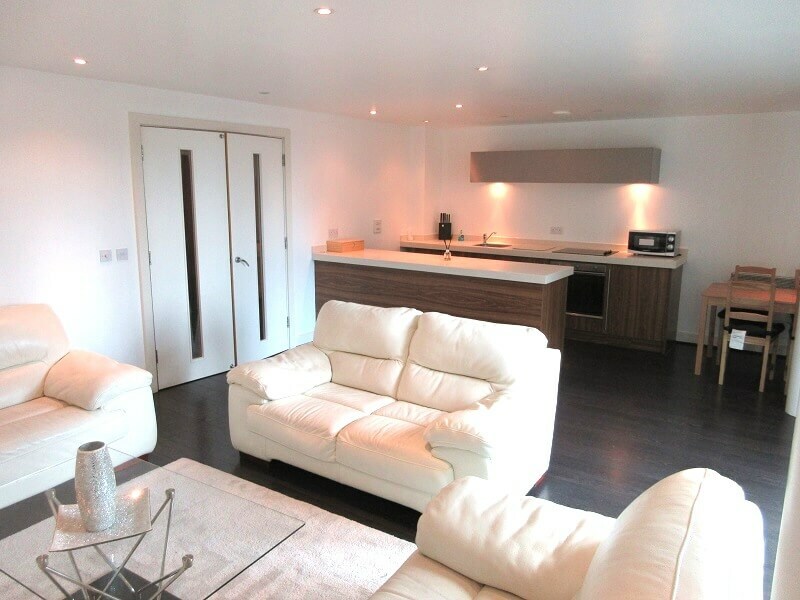 The property comprises large open plan living space / designer kitchen, with access to an extremely large private terrace/balcony with spectacular views of the Birmingham skyline, two double bedrooms and two bathrooms (one ensuite). 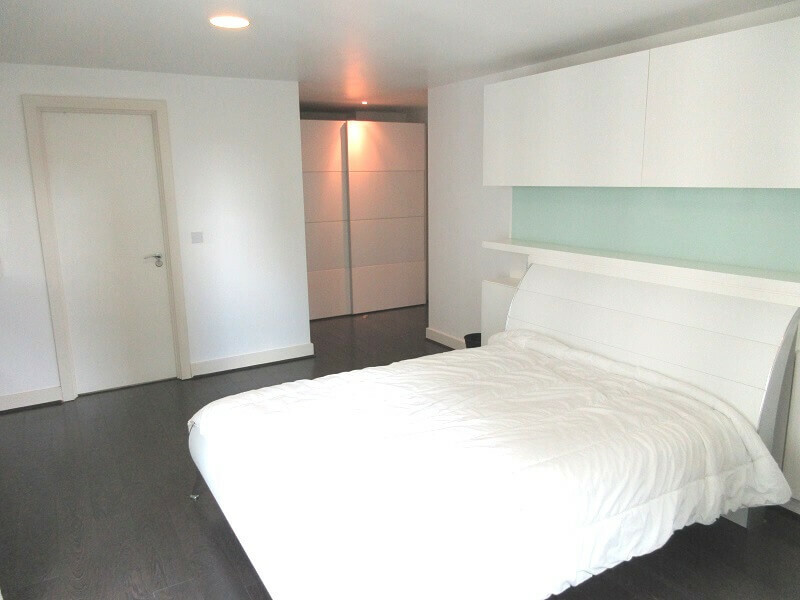 Two allocated secure parking spaces in the underground car park come with this wonderful Property. 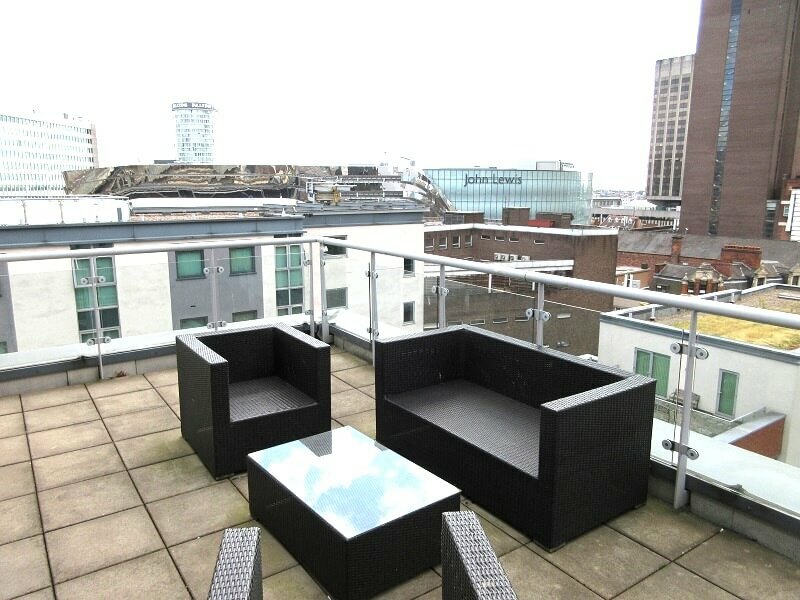 The property is located minutes away from main attractions (Mail Box, Bull Ring, Victoria Square) and is close to main transport links to and from the City (A38 / Birmingham New Street Station). 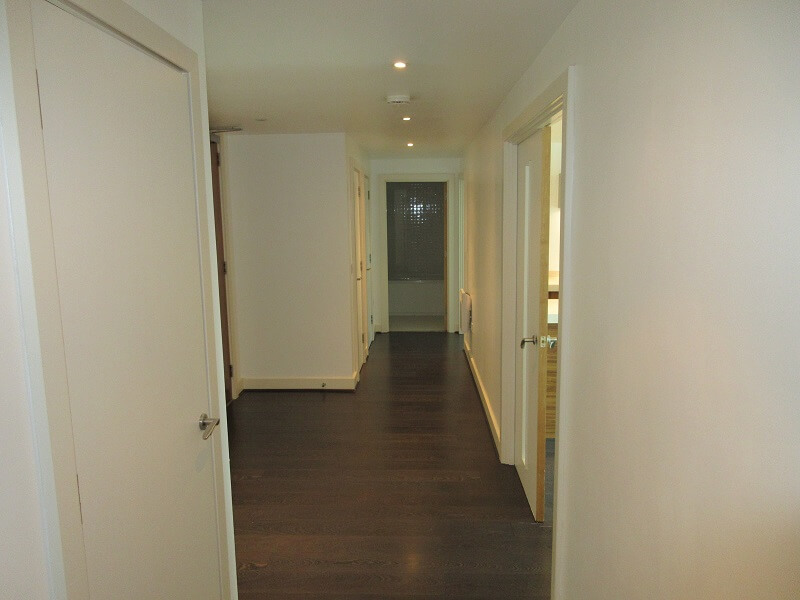 Reception Hall – 7.90m x 2.24m (25’11” x 7’4″) Wood laminate flooring. Contemporary recessed down lighting. Double wall sockets. Wall mounted electric heater. Smoke detector. Entry phone system. 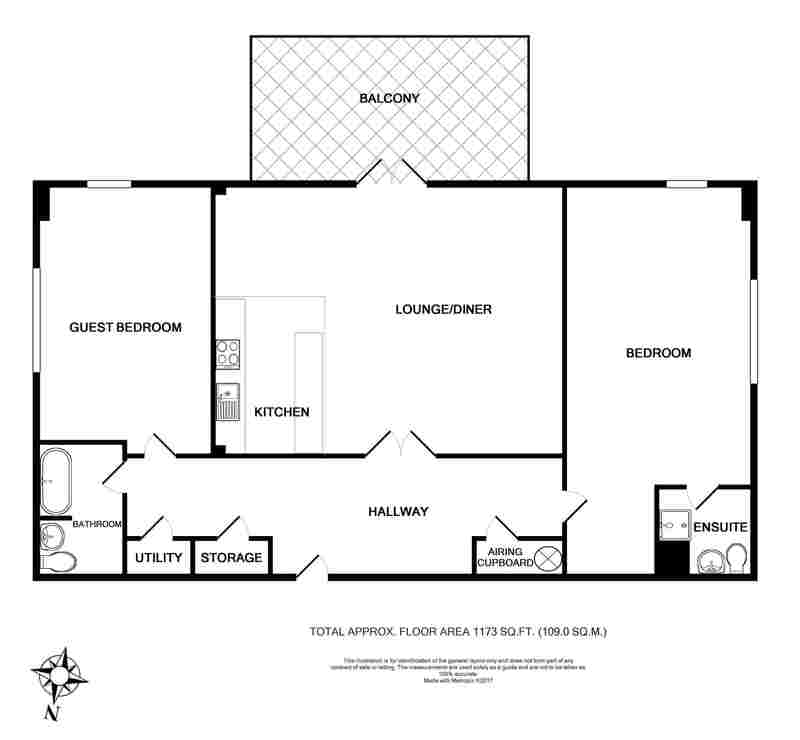 Utility room – 1.38m x 0.90m (4’6″ x 2’11”) Providing extra storage space. Ceiling light pendant. ‘Samsung’ washer dryer. Useful Shelving. 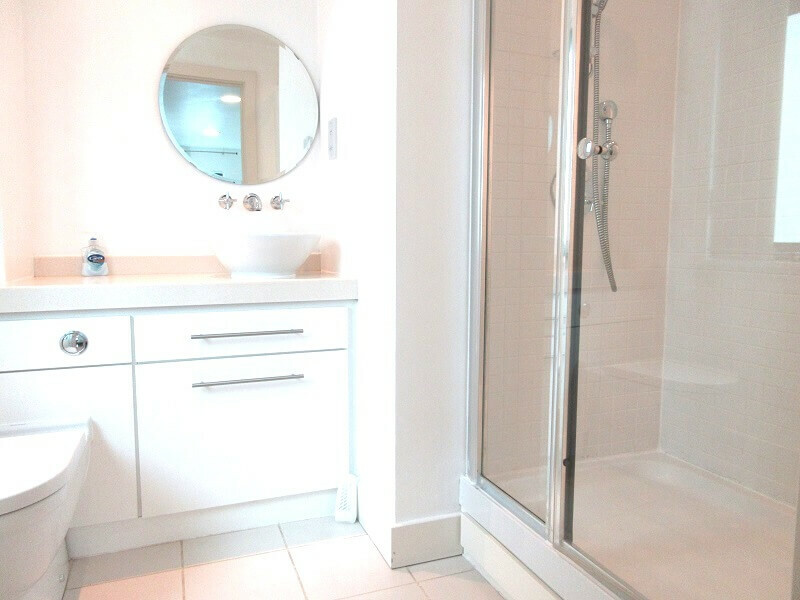 Airing cupboard – 1.86m x 0.82m (6’1″ x 2’8″) ‘Horstmann hot water tank’. Water meter. Ample Storage. 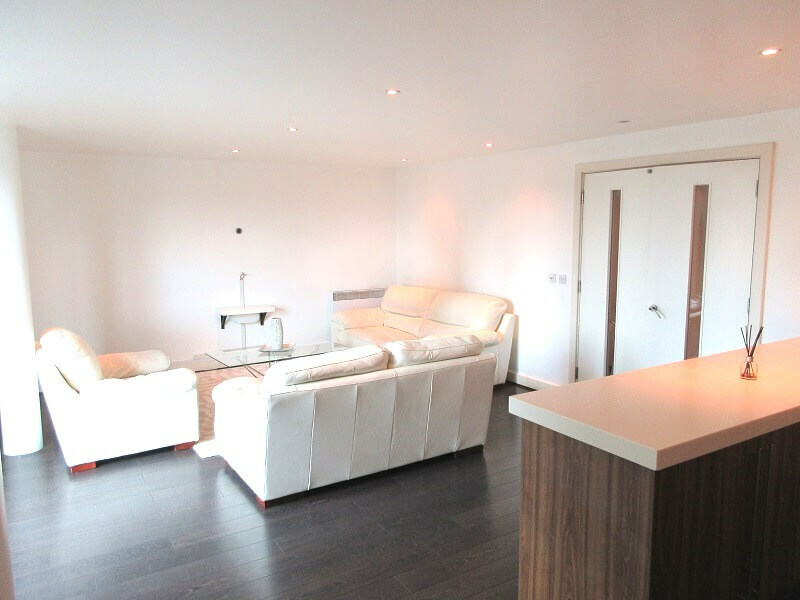 Large lounge with adjoining kitchen – 7.24m x 5.02m (23’9″ x 16’6″) Living/Dining Wood laminate flooring. 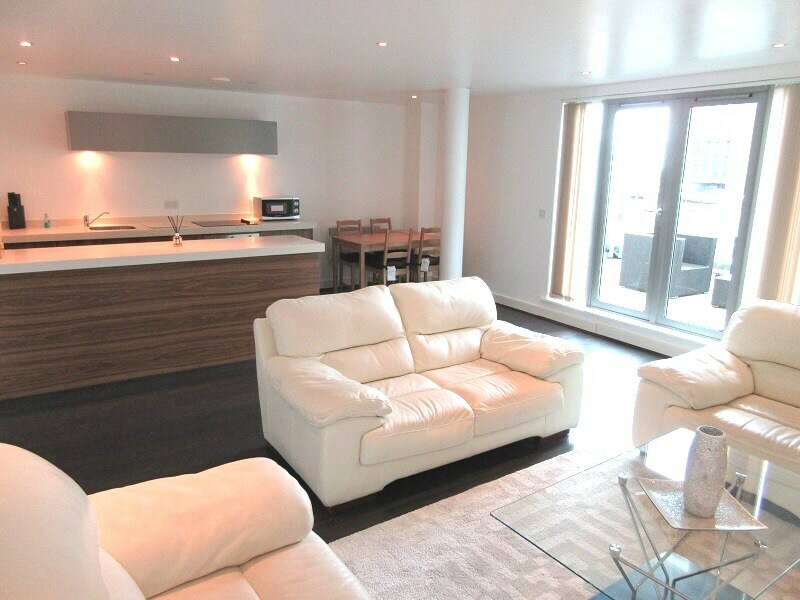 Full Height double glazed patio doors leading to the private balcony. x2 Wall mounted electric heaters. TV/FM/satellite sockets. Telephone sockets. Recessed down lighting. Dimmer switches. Multiple wall sockets. 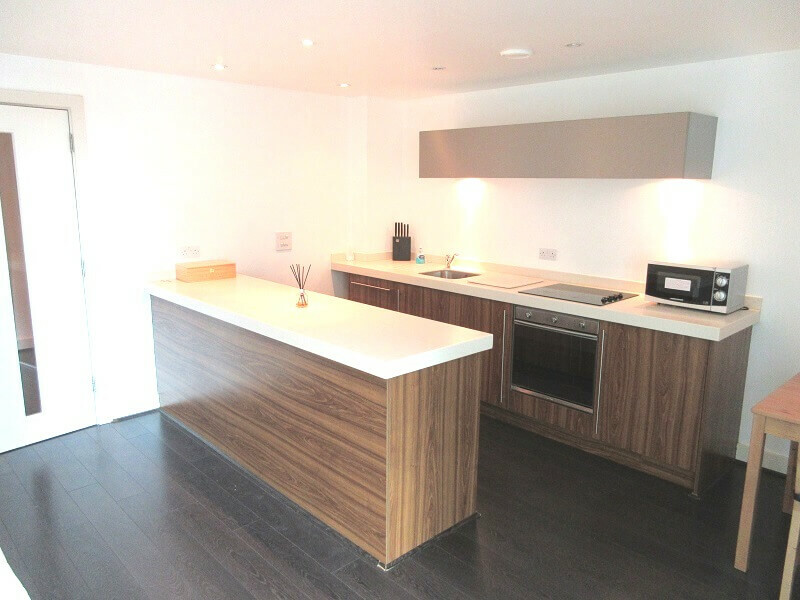 Fully Fitted Kitchen – Approximate kitchen dimensions within above dimensions are: 2.50m x 3.18m (8’2″ x 10’5″) High level of internal specification. Laminate wood flooring. Range of wall & base mounted kitchen units. 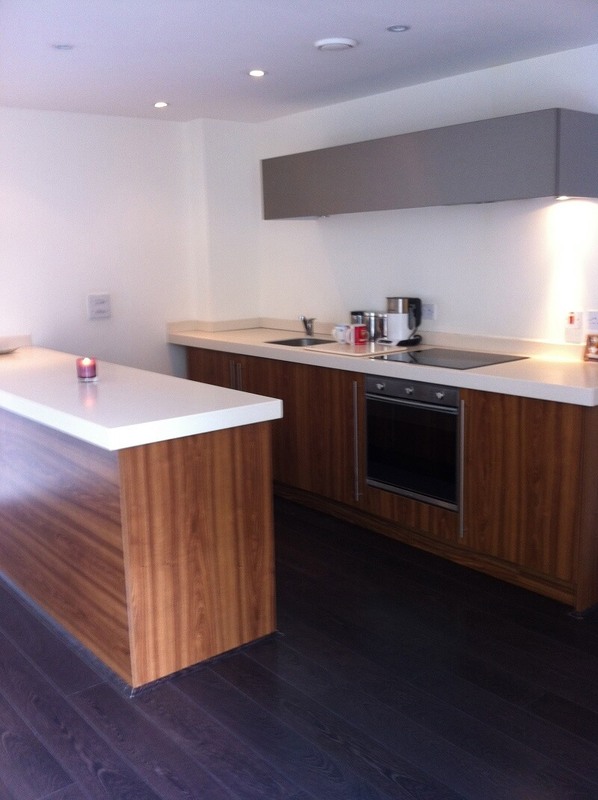 Cream granite work surfaces and matching splash backs. Stainless steel sink with chrome hot & cold mixer tap. ‘SMEG’ built in electric oven. ‘SMEG’ ceramic hob. Integrated extractor unit. Concealed Electrolux fridge & separate freezer. Concealed Kenwood dishwasher. Under cabinet lighting. 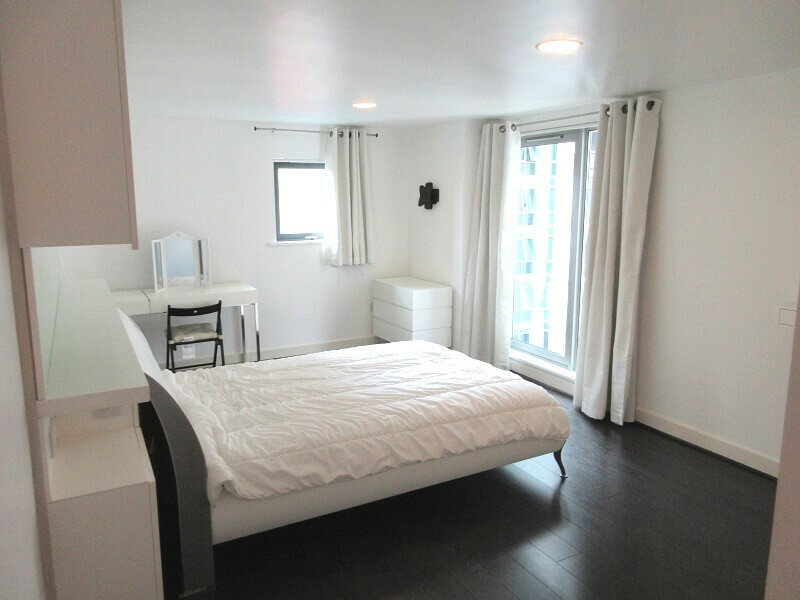 Master Bedroom – 3.96m x 5.22m (12’12” x 17’1″) plus 2.48m x 2.18m (8’1″ x 7’2″) Spacious accommodation. Laminate wood flooring. 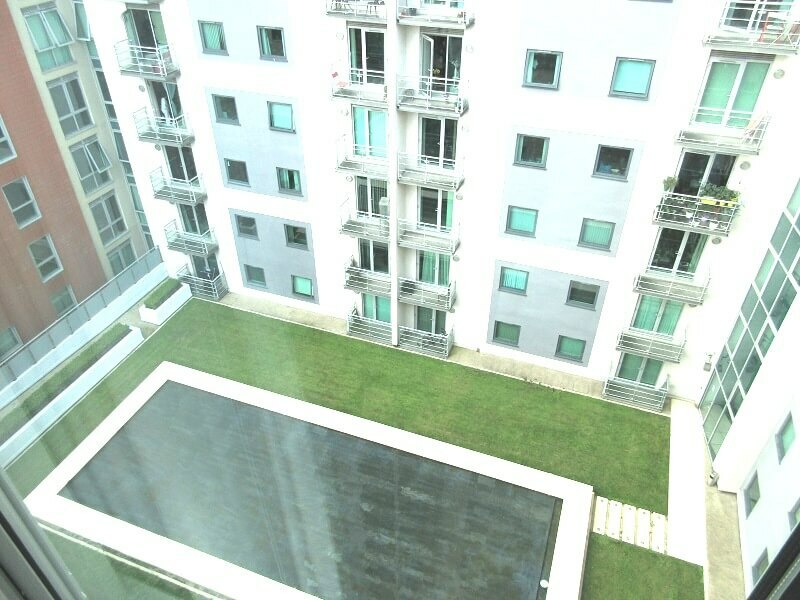 Full height Double glazed window with aspect towards courtyard water feature. Free-standing double wardrobe with sliding doors. Contemporary Recessed down lighting. Contemporary lighting & storage unit above bed headboard. Wall mounted heater. Double wall sockets. Telephone point. 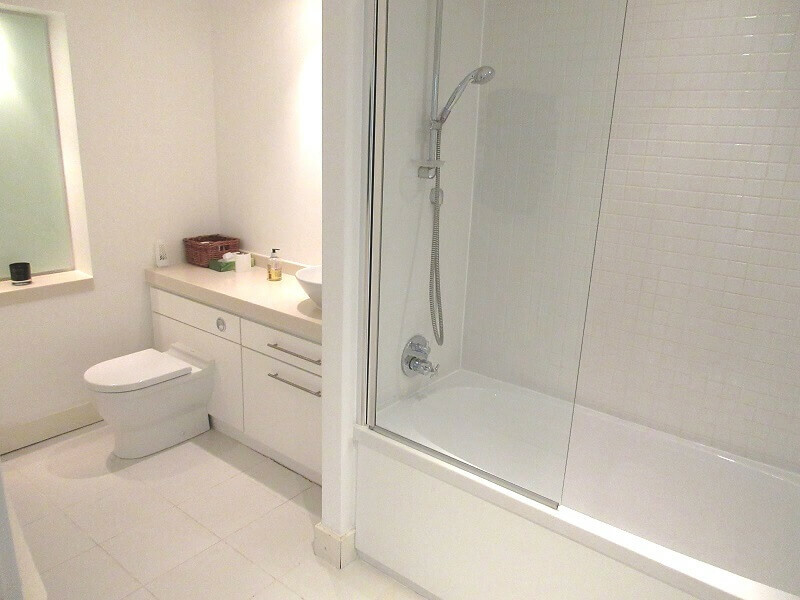 Ensuite – 2.16m x 1.81m (7’1″ x 5’11”) Matching white bathroom suite. WC. Stylish bowl wash hand basin with chrome mixer tap. Glazed shower screen. Large Shower enclosure with fully tiled surrounds and thermostatically controlled shower over. Tiled floor. Wall mounted heated towel rail. Granite surrounds to wash basin & WC. Recessed down lighting. Shaver socket. Extractor unit. 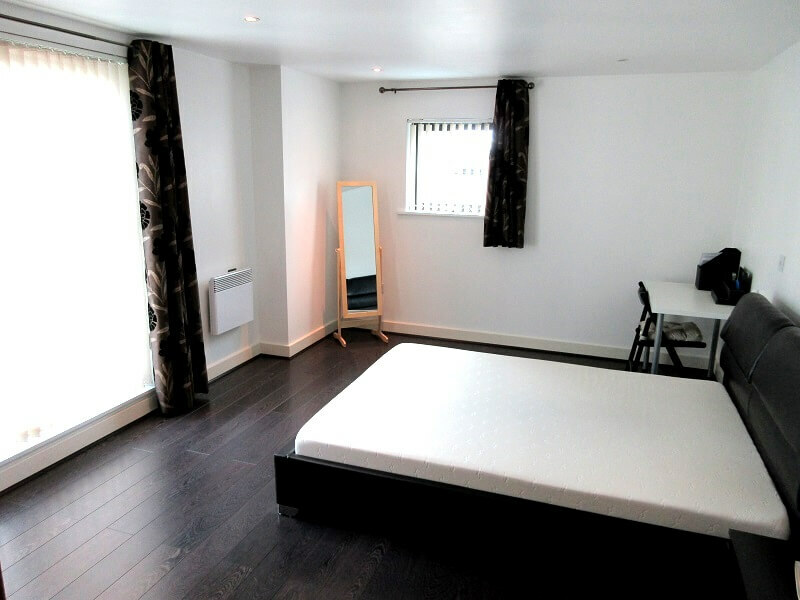 Second Bedroom – 3.66m x 5.00m (12’0″ x 16’4″) Wood Laminate flooring. Full Height Double glazed window. Contemporary Recessed down lighting. Wall mounted heater. Double wall sockets. Telephone point.TV Point. Fitted Blinds & Curtains. 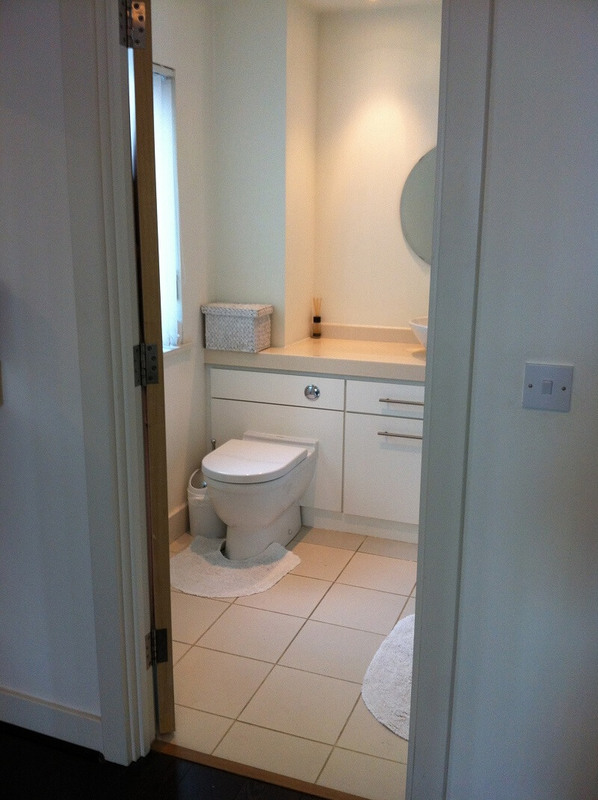 Bathroom – 1.88m x 3.70m (6’2″ x 12’1″) Matching white bathroom suite. WC. Stylish bowl wash hand basin with chrome mixer tap. Vanity mirror. Storage underneath wash basin. Glazed shower screen. Bath & Shower enclosure with fully tiled surrounds and thermostatically controlled shower over. Tiled floor. Wall mounted heated towel rail. 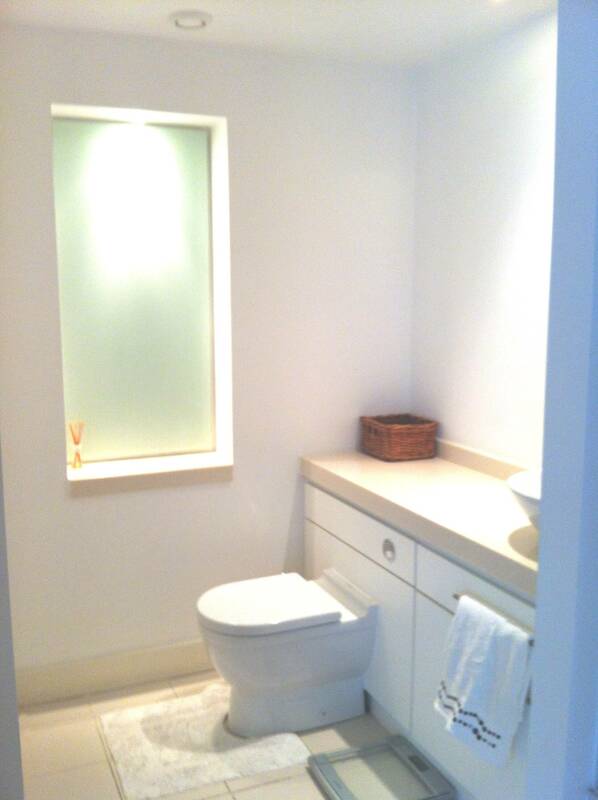 Granite surrounds to wash basin & WC. Recessed down lighting. Shaver socket. Extractor unit. 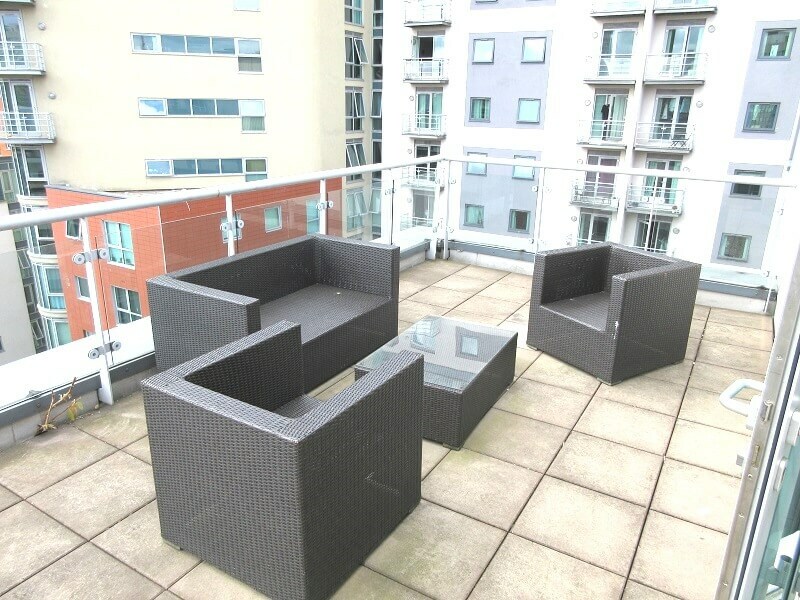 Balcony – 5.75m x 3.05m (18’10” x 10’0″) A large, full-width balcony/terrace offering far reaching City views and South aspect with almost 190sqft of space.